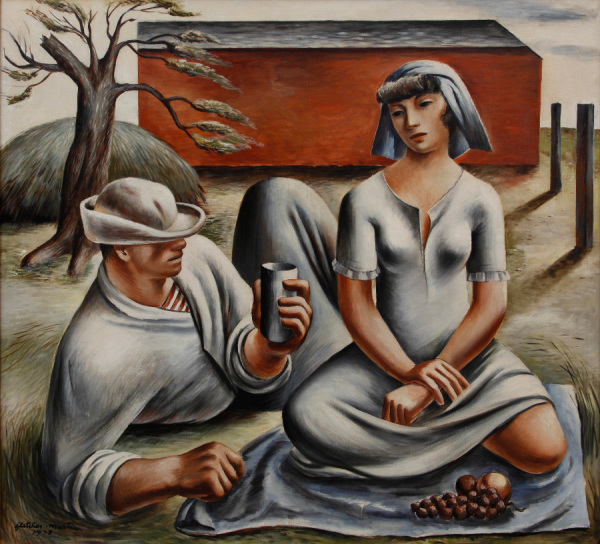 As an artist-correspondent for Life Magazine during World War II, he made hundreds of sketches of U.S. soldier life. Fourteen of his paintings from the North African campaign were published in the December 27, 1943 issue of Life, and brought him national recognition. Among these was Boy Picking Flowers, Tunisia, depicting a young GI finding a distraction from war. He also made illustrations of wartime London and the June 1944 Normandy Invasion. 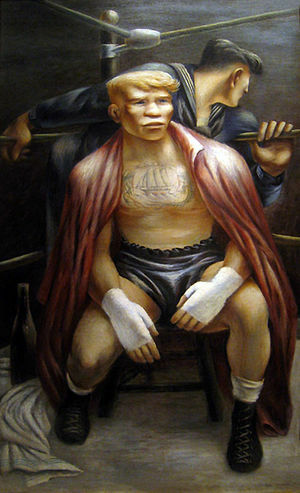 His paintings often depicted men in conflict. 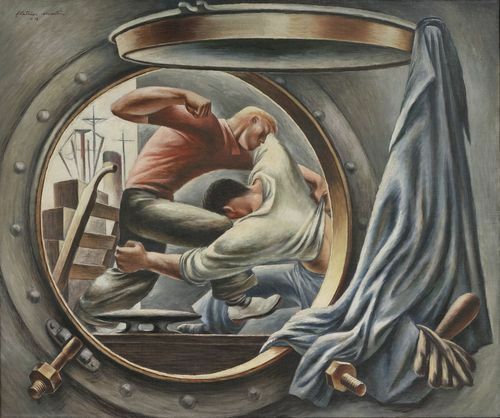 Trouble in Frisco (1938, Museum of Modern Art) shows a brawl between longshoremen witnessed through a ship's porthole. The Undefeated (1948-49, St. Petersburg Museum of Fine Arts) depicts the 11th round of the June 25, 1948 World heavyweight boxing championship. The title is ironic: its subject is a severely battered Jersey Joe Walcott, collapsed against the referee and about to lose to (an unseen) Joe Louis. 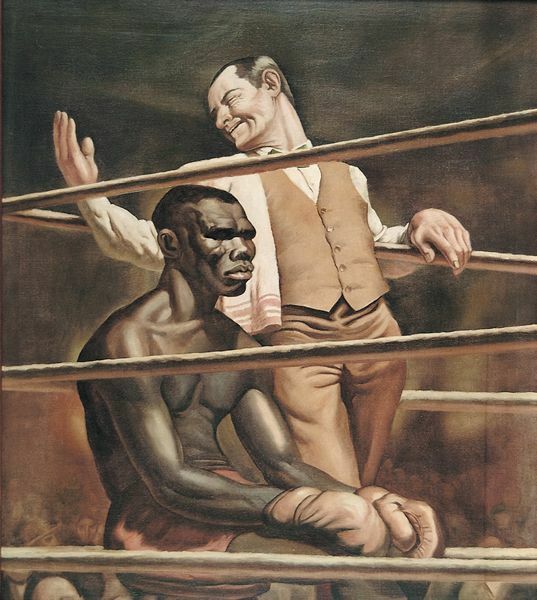 In 1954 he painted a series of illustrations for Sports Illustrated of heavyweight champion Rocky Marciano defending his title against Ezzard Charles.